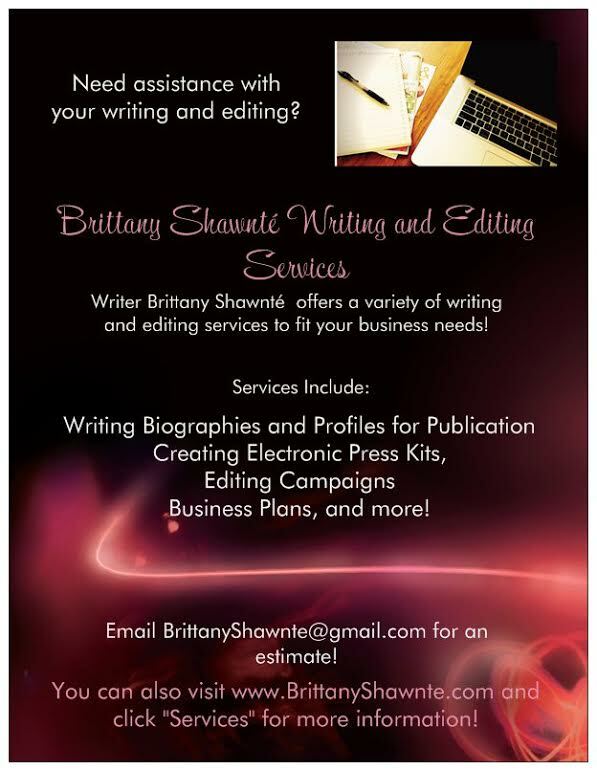 I started doing my review to MTV's Video Music Awards when I first started the blog, after doing a review on the BET Awards. So, of course, I'm keeping up the tradition! 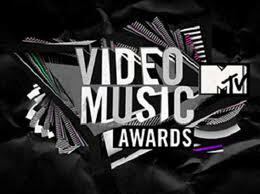 The VMAs is one of MTV's top events all year, along with the Movie Awards, so my eyes were glued to the TV! 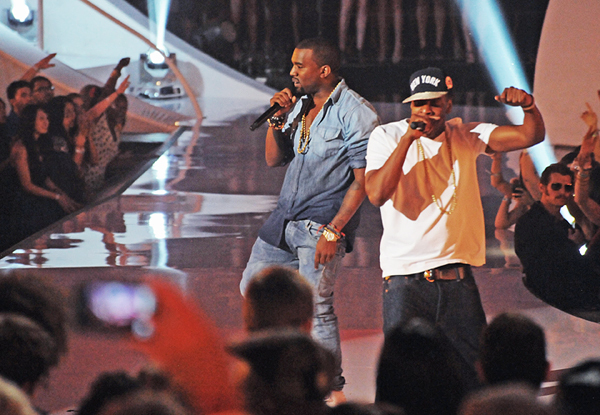 The VMA pre-show was just like the BET pre-show. Just ehh. Sway hosted with Selena Gomez at the JW Marriott in LA. Guests included the cast of Jersey Shore, Rick Ross (ahem, Wale better get his air time next year MTV), Demi Lovato, Taylor Lautner and more. There was a disaster of a performance by Cobra Starship and Sabi, who I had heard of, but never heard the song they did. And now that I have, I'll pass. 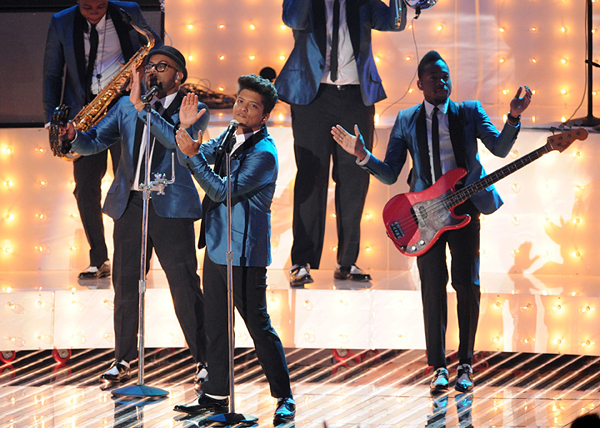 They can't sing, and their performance didn't impress. And I'm the only one who saw when they cut in front of Amber Rose and Wiz Khalifa in the paparazzi area? Why weren't they on stage from the beginning, MTV? That design in that hotel was way too much. Another thing I noticed was that MTV continued to ask people about their problems with each other, i.e., asking Rick Ross and DJ Khaled about Kreayshawn, Tyler the Creator about Bruno Mars, who's stupid behind proceeds to go in on him (Somebody please get this boy a decent publicist. I'll talk more about him later). I really didn't like that. Like we all know that people have issues with each other, but that doesn't mean you have to worsen the situation on your red carpet. The first moonman of the night, Video with a Message, went to Lady Gaga for "Born This Way." Deserved! Nicki Minaj, who felt the need to top Gaga last night apparently with that crazy getup, premiered a sneak peek of her video "Fly", which premiered moments later on MTV.com. But the best and most talked about news of the night, at least on my Twitter timeline, was the news that BEYONCÉ'S PREGNANT!!!!! Yes, it's true this time! She confirmed it herself in the paparazzi area when she grabbed her stomach! I screamed in my room like I was right there seeing it myself when I saw the picture. I'm so excited for her and Jay-Z! The awards started off with what was SUPPOSED to be a "historic" performance by Lady Gaga. Now, as I've said on numerous occasions, I'm used to Gaga being...Gaga, but last night was a mess to me with that Jo what's his face persona. She started her performance off with this long monologue, and I was just like, "Gaga, go ahead and sing!" It was just too much. And was I the only one who thought about Amy Winehouse's ex Blake when I saw Gaga? I just didn't like it. She eventually performed "You and I," which I love, but her man look just threw me off the rest of the night. 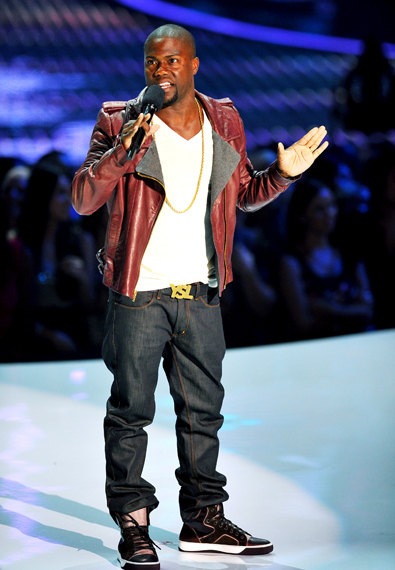 Kevin Hart opened up the show. Not as host, because MTV felt they didn't need one this year, which was obviously false because the presenters this year were extremely corny. If Kevin had've hosted the VMAs that would have been AMAZING! I was definitely feeling MTV throwing shade at BET, like "We got your host, and Beyoncé, Jay-Z, and Kanye actually took the time to come to our show! Why else would they REALLY pick Kevin Hart. I don't really think MTV is his crowd, but they did it anyway to indirectly say, "We have the best award show. What?" Jessie J and her band, who served as the house band, killed it, even with that Bedazzled leg cast she had on. I commend her though for coming out after breaking her foot. I don't blame her for missing her opportunity, because now I might just buy her album. Her voice is amazing and I was with her all night...until she's sang "No Scrubs." Never again, Jessie. Just...don't. Jonah Hilll and Nicki Minaj presented the Best Pop Video to Britney Spears for "Till The World Ends," and she, of course, "wasn't expecting it." Girl, get out of here. They were giving you an award later on in the night, and a tribute (Talk about that mess later). Jay-Z and Kanye performed "Otis," with a lot of smoke and a flag. And I was disappointed. I said it on Twitter, and one of my followers commented, "But that's all the video was." And I know, but I expected more like some fire and hella motorcycles. I guess I was too excited. The Best Rock Video went Foo Fighters for "Walk," and Nicki Minaj got the Best Hip Hop Video for "Super Bass." People were upset at that, but it's like people don't understand the way these award shows go. It's popularity, and even though "Super Bass" is not even really hip hop, at the end of the day, Nicki Minaj is getting hers over at MTV regardless. Justin Bieber, of course, received Best Male Video for "U Smile." Why people acted so surprised on Twitter, I don't know. Because I surely wasn't. Bieber Fever is still alive and well! 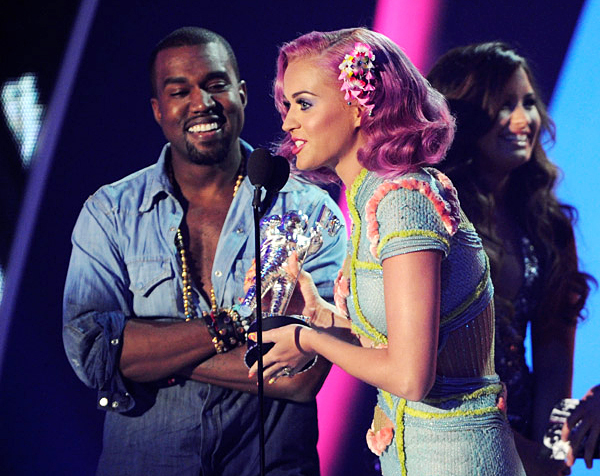 Best Collaboration went to Katy Perry and Kanye for "E.T." And Katy had the nerve to say to Kanye, "This is your first moonman right?" And Kanye calmly said, "Naw, I got more." That was my laugh of the night! Like boo, that was your first moonman. Don't try to play him! The Britney tribute was a pure mess, and forgettable. It was already upsetting that she was getting one in the first place, and Aaliyah wasn't for her 10th year anniversary. I didn't need a full on performance, but a video montage would've been nice, MTV. Especially after all the times she's been on your red carpet. Anyway, by the time the Britney tribute started, it was over. It was a bunch of costumed dancers, wearing her outfits from over the years dancing to a mix of her songs like America's Best Dance Crew. No artists came out and actually sang for her. Like what was the purpose of that anyway. What I didn't know is that she was winning won an award named Michael Jackson (the Michael Jackson Vanguard something, something or other), which Lady Gaga presented to her. What made me laugh is that after all that, it was still about Beyoncé! Britney got up there, gave her little speech (which I heard threw shade at Bey, but I wasn't paying that close attention), and then proceeded to announce Beyoncé for her performance! I said to myself, "How do you have a "tribute," no one actually sings your music, and then you go up there only to present Beyoncé?" That just showed me who the King really is haha! Bey killed in her Motown-like performance of "Love on Top, and THEN threw her mic down and flashed that baby bump like BOOM! Yall better watch the throne!!!! My night was done. There was also a performance by Young the Giant (???). I don't listen to them, so that was background music as I worked on this review. Lady Gaga received the Best Female Video for "Born This Way," again no surprise, and deserved! I really do love that song. Best New Artist went to Tyler The Creator surprisingly for "Yonkers." Part of me thinks MTV did it just to see if he would say anything more about Bruno Mars. But congrats to him anyway. He's a unique artist, and very rarely do unique artists win at these things. Unless you're Lady Gaga. 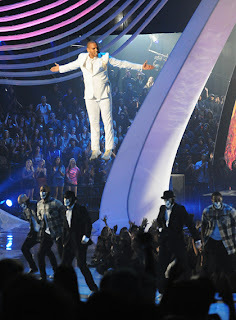 What was A PURE MESS was how he brought all of Odd Future up there, and then proceeded to curse in his speech. I was embarrassed for my people. I like what I've heard from Tyler, but good goodness! Where is his publicist to tell him how to act?! Image is EVERYTHING sir! The Amy Winehouse tribute, which featured Russell Brand, a unreleased song of Amy's with Tony Bennett, and a performance by Bruno Mars of "Valerie," was really good. I would have personally loved if Naya Rivera could have came in and done her cover of "Back to Black," but it was a good tribute regardless. Definitely touching. Video of the Year went to Katy Perry for "Firework." And then Lil Wayne ended the show with "How to Love" and "John," which I had never heard of because I don't listen to him like that. And tonight proved why. How do you go from "How to Love," which was too somber for an end performance anyway, by the way, and then go to a full rock performance? The dumbest transition ever. I would have rather he just cut out "How to Love" all together. And those leopard jeggings he had on, of course, showing off his drawers? It was just a mess to me. Definitely not something I would've ended the show with. 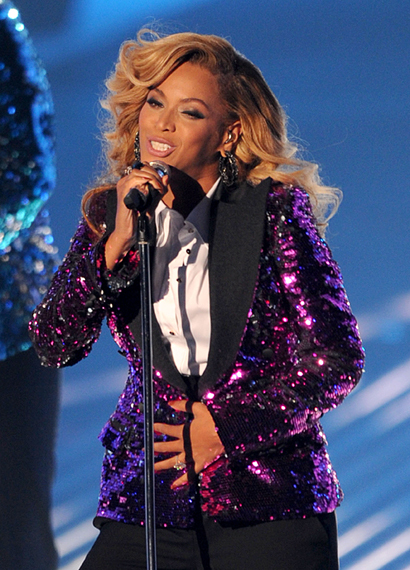 In my opinion, Bey should have closed out the show, especially since she flashed that baby bump! But I don't work for MTV, so hey. Overall, the VMAs were good. 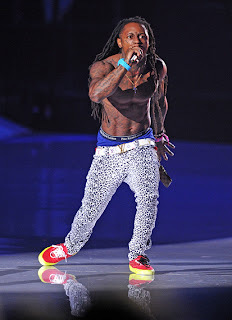 The performances were definitely the best part of the night (minus Wayne). 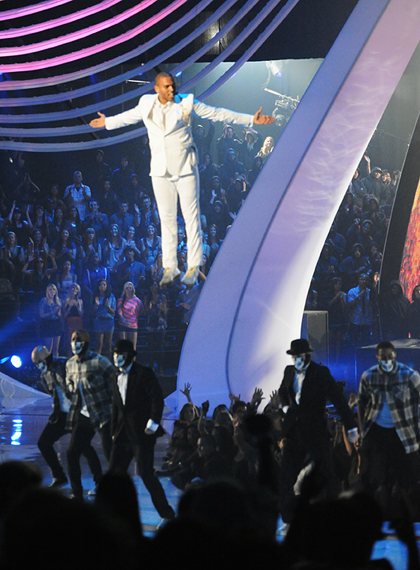 A lot of comparison last night to the BET Awards. I won't do it, even though I'm tempted. I enjoyed both this year. However, one actually had Beyoncé and the other didn't soooo.....haha I enjoyed myself. Thanks to my timeline for keeping entertained, and shoutout to MTV for putting on a pretty good show!